Square is adding a new feature to Square Cash to make sending money even easier, allowing people to request money from either a single person or a group in seconds. Updated from 12 p.m. to include additional information on the board in the 12th paragraph. NEW YORK (TheStreet) -- It's been a busy week for San Francisco-based Square. With the company reportedly prepping for an IPO, it's likely to get even busier. First, the company announced a major deal with Whole Foods (WFM, putting Square Stand and Square Register in certain Whole Foods Markets stores around the country. Then, the company celebrated its fifth anniversary, and now it's adding a new feature to Square Cash to make sending money even easier. The company received approval from Apple's (AAPL - Get Report) App Store and Google (GOOG - Get Report) Play to introduce a new feature that allows people to request money from either a person or a group in seconds. Square Cash was announced in October, and allows people to email others, requesting and receiving money, free. "The new request feature makes it effortless to collect money -- staving off those awkward conversations about unpaid debts with friends and colleagues," the company said in a press release. "With Square Cash, anyone can now request money for everything from concert tickets and fraternity dues to class field trips and vacation rentals." All customers have to do is put in the various email addresses, cc request@square.com, put the dollar amount in the subject line, and hit send. 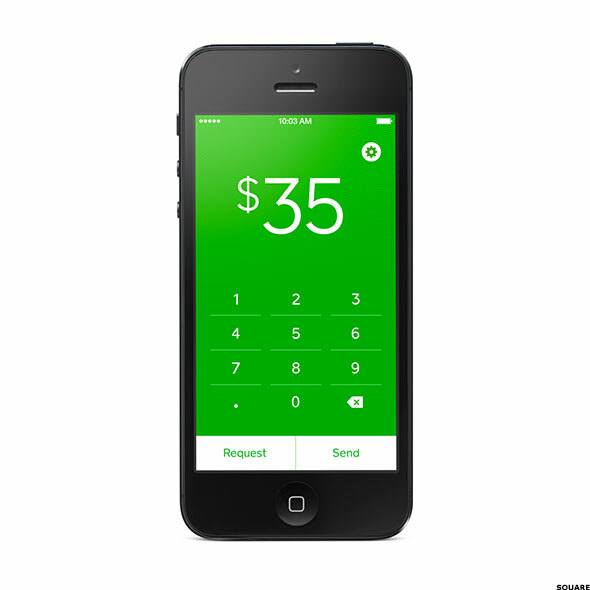 Square Cash also allows you to see who's paid the money owed, and who still owes. 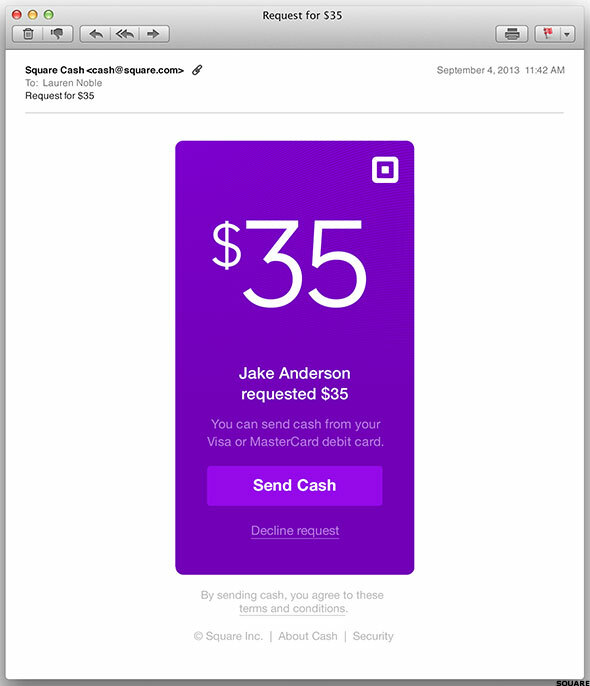 Square Cash works with any email client, including Gmail, Yahoo! Mail, Mac Mail, Android Mail and Outlook, and is available on desktop and mobile devices. Square Cash, which is available only in the U.S., is free to send and receive and offers no signup process. That's unlike unlike eBay's (EBAY PayPal, which lets users create a PayPal account -- users must then transfer money from their PayPal account to their bank account. At its I/O Developer conference in the summer of 2013, Google announced a similar feature, allowing users to send money via their Gmail account. Initiatives such as Square Cash, as well as the company's products such as Stand, Register, and the company's popular digital wallet app, Square Wallet, have helped propel the Jack Dorsey-led company into the spotlight. Late in 2013, it was reported the company was considering an initial public offering, hoping to capitalize on the boom in technology stocks. Square added former Goldman Sachs (GS CFO David Viniar to its board of directors in October 2013, fueling speculation he could help get the company acquainted with Wall Street. Viniar replaced Starbucks (SBUX Chairman Howard Schultz. As of May 2013, Square was handling an annualized $15 billion in payment transactions, though that number has since been boosted to $20 billion, according to a report from The Wall Street Journal. Based on a 2.75% flat fee, that would put Square's annual revenue at around $550 million, though much of that, perhaps as much as 80%, goes to Visa (V, which owns a stake in Square, and Mastercard (MA.